Klausmeier, J. (2013). Open This Little Book. San Francisco, CA: Chronicle Books. Genre: This book was listed as a picture book about books, and one one level, I agree with that. But it’s also a picture book about stories (which is different from books) and storytelling. One could also use this book to talk about colors as well. It is a good representation of books about books, and one that could engender discussion about stories and books with children. Book Summary: The story about someone who opens a succession of increasingly smaller, and differently colored \ books, until they get to the smallest book which a giant tries to read, but can’t because her hands are too large. Animal friends help, and the books close until the reader is invited to read another book. Impressions: I thought this book was absolutely charming. I loved the diminishing sizes of the books, plus how the illustrations for each book matched the color of the book. For example, the green book has a green frog inside, on green lily pads, near a green pond. I also loved the smaller details: the ladybug from the red book shows up in the green book, and the frog and the ladybug show up in the orange book, and so on, giving the book, which may seem disjointed at first, some continuity. 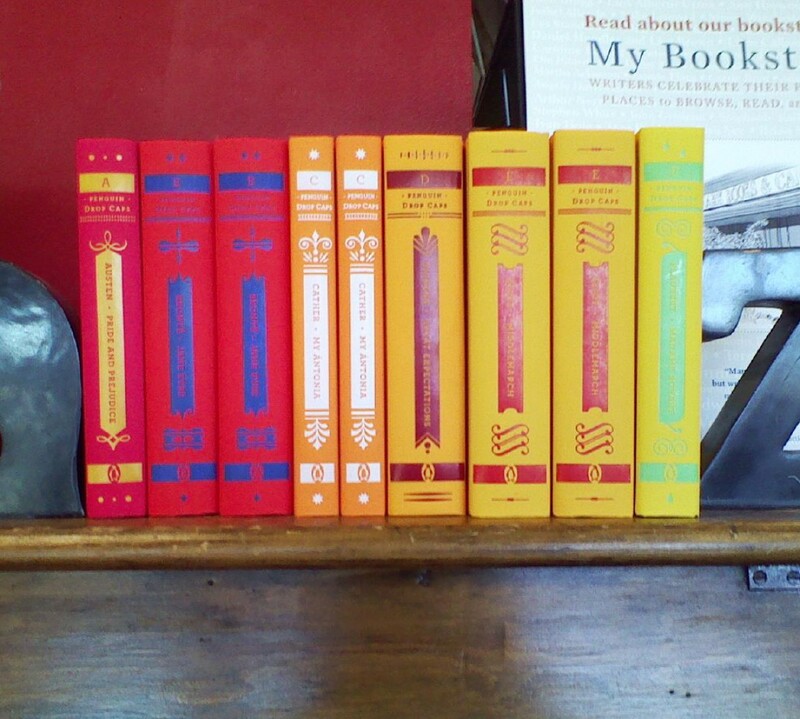 I was a little disappointed that the books weren’t in ROYGBIV order (that would have been a fun detail!) but when all the books were open, it’s a colorful and inviting image that will definitely make any reader smile. Review: Publishers Weekly reviewed Open This Little Book in the January 2013 issue calling it a “conceptual novel” (Staff, 2013) more than a story. The staff reviewer appreciated the design and the layout of the book, calling it “charming” (Staff, 2013), and suggesting that the book, overall, makes a point about how readers can have a relationship like friendship with books. Library Uses: I think this book would be a bit challenging to use in a story time (because the middle books are so tiny), but it would be great in either a display on books about books or books about colors. 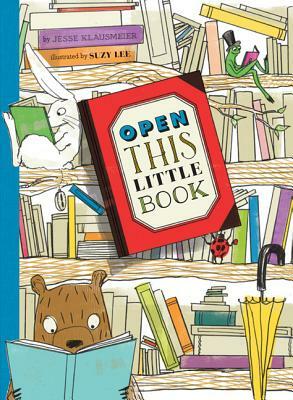 It’s a Book by Lane Smith, which, while snarkier, has the same sense of instruction and introduction to the world of books as Open This Little Book. Open Very Carefully: A Book with Bite by Nick Bromley, illustrated by Nicola O’Byrne is also humorous and interactive in a similar way to Open This Little Book, inviting the reader to participate in the story rather than being a passive observer. Eating a Rainbow by Lois Ehlert is a fantastic book about colors, and would be a good compliment to the color aspect of Open This Little Book. I like this format and the detail. It’s very helpful to one that isn’t currently in the field, but still loves to hear about children’s books.